Finally back to tangling. Too many distractions in life. I enjoyed doing this one sitting on my couch with my cat J.J.
Hi Penny... I love your Zentangle style, all swirly and happy! Wonderful Zentangle Penny, I have added your link to my blog. Hope all is well. I LOVE your Zentagles! They are just the prettiest I've seen!!! Zentangle... an easy to learn and relaxing method of creating beautiful images from repetitive patterns created by Maria Thomas and Rick Roberts. 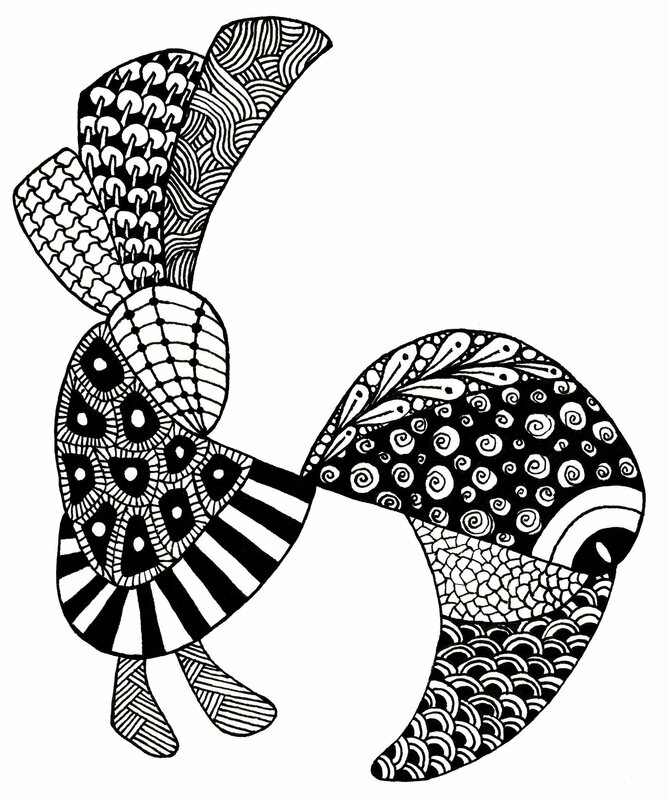 They believe that life is an art form and that Zentangle is a perfect metaphor for deliberate artistry in life. To learn more about the process, please visit their beautiful web site at www.zentangle.com. My WorkshopsI wish my day job allowed me time to hold regular workshops. But I do have time on weekends to meet you for a one-on-one session at a coffee shop downtown Los Angeles. Contact me at pennyraile (at) gmail (dot) com.